Are You An Artist? Let’s Have Fun Together! I love art and I love artists. Let’s just get that out of the way. Though I’m a chronic doodler, my skill never developed much past what I accomplished in high school; however, even though I don’t have much talent, I do always sketch my characters in order to better envision them. I recently jump-started my :from the Chronicles of Purgatory Station serial. I’ve had a few false starts in the past, but I’m committed to finishing the eighteen-part saga during the coming months. If you’re unfamiliar with the concept, Purgatory Station is an island off the coast of Boston with a high number of unusual citizens. Some of them operate for the common good, others are intent upon causing great harm. Each of them, consequently, holds a deep story that needs to be told. In essence, these are my version of super heroes and villains. I’ve created designs for each of these characters, and I toil to develop passable “covers” for each story, but I’d like these characters to shine even more brightly. That’s where I ask you, the artist, to come play with me. If you read the story and there’s a particular scene that speaks to you, and if you take it upon yourself to create an image of that scene, please do share it with me and I’ll insert it into the appropriate spot. I am a lifelong comic book fan, and I would love nothing more than to see artists’ talented takes on my stories. I’m releasing :from the Chronicles of Purgatory Station for free, so I’m afraid I can’t offer any money to you as I’m not making any. I want to share these stories for all to enjoy, and I’m not in it to try to make a dollar. However, I will certainly place your name beneath the picture, and I’ll hotlink your name to any site you have that you’d like promoted. In short, I’ll send people your way if they like your art. Of course, I have to like your picture. There is some level of quality control. If it is true to the story, and if it looks good, I’ll likely add it in. Just to be clear, I retain all rights to my characters and my work. That being said, I will definitely put anyone who likes your work in touch with you and help promote you however possible. You’ll get shout-outs from me on Pinterest, Facebook, Twitter, LinkedIn, GoodReads, and here at this site. I love supporting artists and I hope you view this as an opportunity to find a new audience while having some fun. Selfishly, it’s a chance for me to see my characters brought to life by those with far more talent. Simon and Leigh are the “it” couple – or so they believe. After years of crashing New Year’s parties, they finally get the surprise of their lives! To find out what it is, read “The Party’s Over: A New Year’s Story” in this month’s issue of News and Views for the Young at Heart. “The Party’s Over: A New Year’s Story” can be found in both the Peoria and Bloomington editions of the free periodical, News and Views for the Young at Heart. If you have any comments about “The Party’s Over: A New Year’s Story,” feel free to get in touch at scottwilliamfoley@gmail.com. 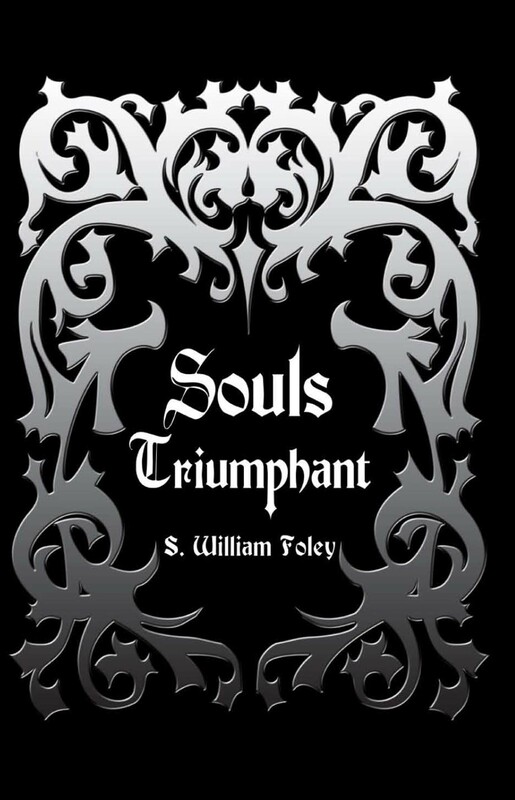 Win a Free Copy Of Souls Triumphant! I recently had a copy of my novel, Souls Triumphant, returned from a nonexistent address. Several attempts to reach the owner failed. The pages and cover were slightly bent in its travels. I can’t resell this signed, damaged copy, so if you’d like to try your hand at winning it and don’t mind the fact it got beat up apparently making several trips across the nation, just email me at scottwilliamfoley@gmail.com with “I Want To Win!” in the subject line. I’ll then drop your name into a hat, and on November 28th, I’ll randomly select a winner! I’ll email the winner to congratulate them and get their home address for free shipping. The first name of the winner will be posted on my website, so you can check back on the 28th for the results. You must live within the United States to win (due to the free shipping). If you win, you agree to write an objective review (at least ten words) of Souls Triumphant at Amazon.com and Barnesandnoble.com within six months. You also allow me the right to quote your review at my own website. If you participate in the contest, you will receive my monthly e-newsletter and sporadic updates which you are free to read or delete at your discretion. Drawing heavily from Christian theology and John Milton’s Paradise Lost, Souls Triumphant is the story of Joe and Alessandra, two recent college graduates who meet on the street and fall in love at first sight. However, when they discover they are reincarnated servants of the Kingdom and that the mutinous Ned and his faction of monstrous demons want Joe dead and Alessandra to bear Ned’s child, an adventure ensues in which the very fate of the planet and the heavens hang in the balance. It is a story of action, intrigue, romance, fantasy, and faith. I hope to hear from you soon, and good luck! 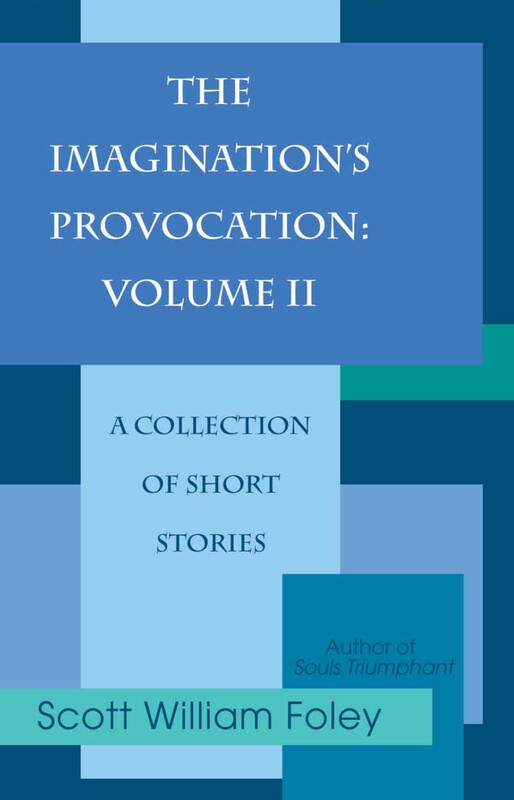 Enter to win a free copy of my short story collection, The Imagination’s Provocation: Volume II! This collection has stories such as fantasy, realism, horror, science fiction, humor, inspirational, and historical fiction. It literally has something for everyone! All you have to do is email me at scottwilliamfoley@gmail.com with “I Want To Win!” in the subject line. I’ll then drop your name into a hat, and on Halloween night I’ll randomly select FIVE winners! I’ll personally email the winners to congratulate them and get their home address for free shipping. First names of the winners will be posted on my website, so you can check back there next Saturday for the results. If you win, you agree to write an objective review (at least ten words) of The Imagination’s Provocation: Volume II at Amazon.com and Barnesandnoble.com within six months. You also allow me the right to quote your review at my own website. What happens if you win and don’t write a review? I’ll chase you down with a wet noodle, that’s what happens!